It's my favourite time of year. 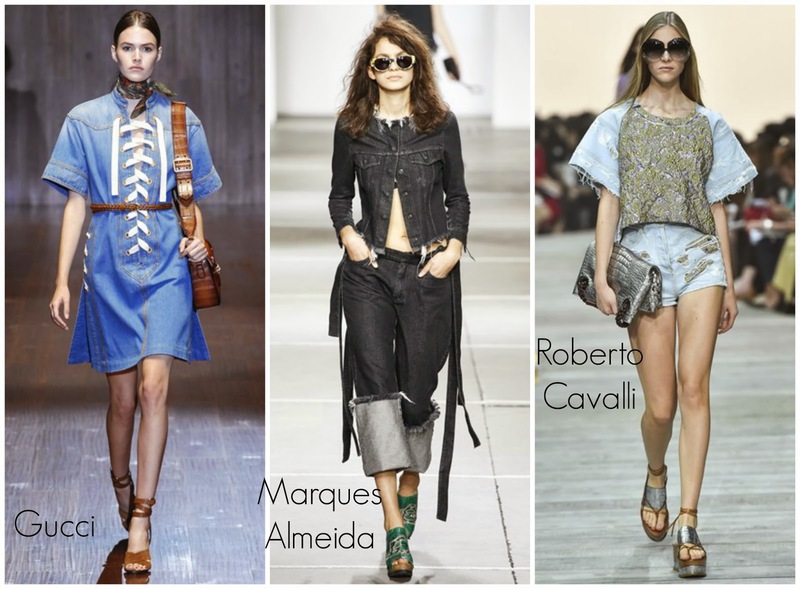 Time for an all new Trend Series for the season S/S 15. Over the next few weeks trends will be reviewed just in time for the seasonal wardrobe change. We'll see runway inspirations of the trends and a number of high street pieces affordable for us normal girls. 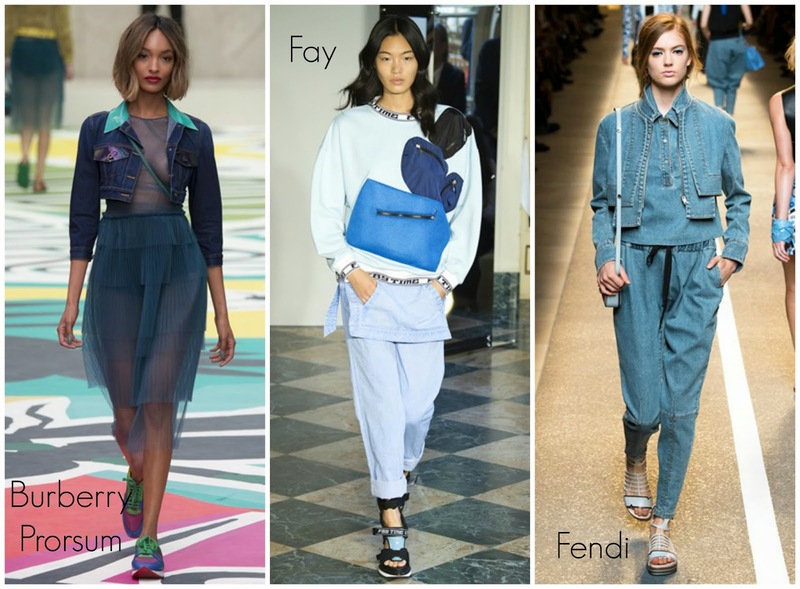 First trend in the mix is denim. You don't only need more denim trousers....you need denim jackets, denim shirts, denim dresses.....you get the gist. You don't believe me? Here's a couple of run way snaps. We see that most of them wear all over denim but it doesn't have to be so of course. Statement pieces with denim effects, like the Roberto Cavalli top or the Burberry jacket, are also different from the kind of denim pieces we usually go for.